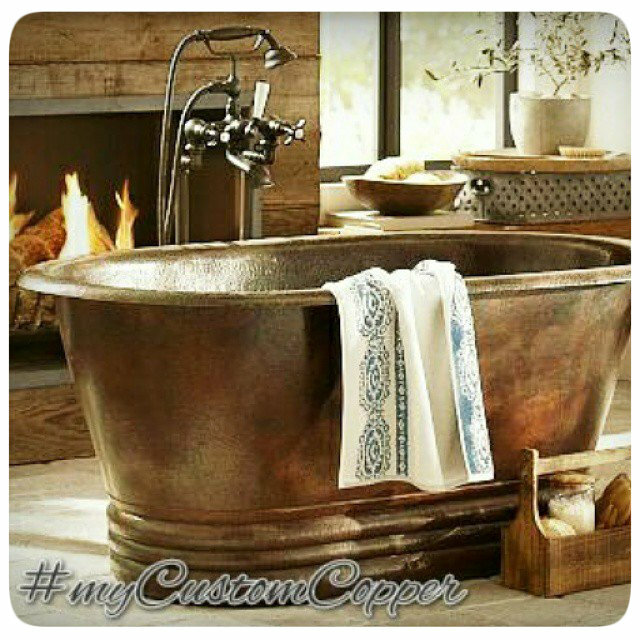 Copper bathtubs designs hammered in many shapes and finishes. Any bathtub can be free standing, soaking, grand slipper, undermount, clawfoot or drop-in. Standard copper tub width is 48, 60, 67, 72, 78 and 82 inches. 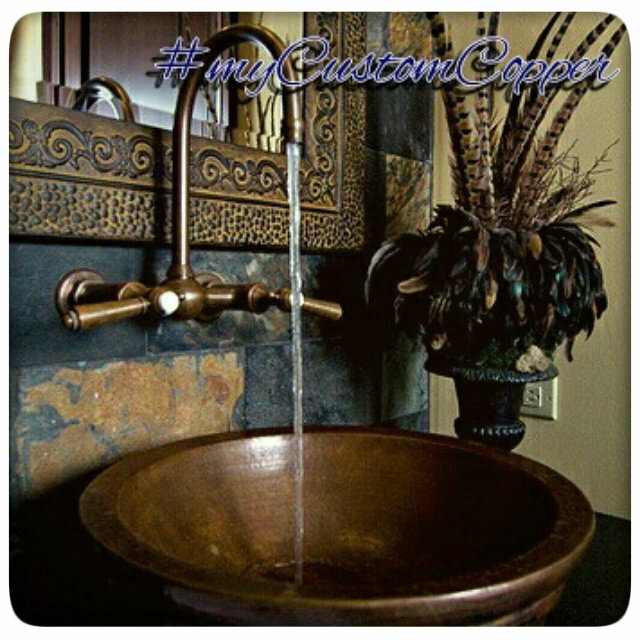 Made to order rustic country, old Spanish, hacienda or antique style in any size. 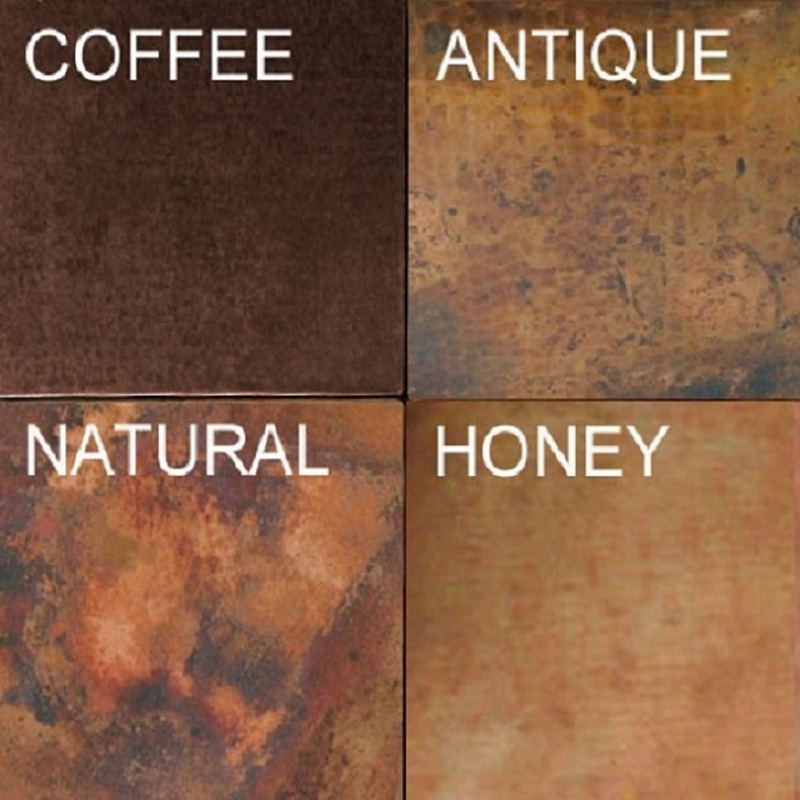 Visit our blog about hammered copper for news, reviews and useful advice. We don't cary used bathtubs. 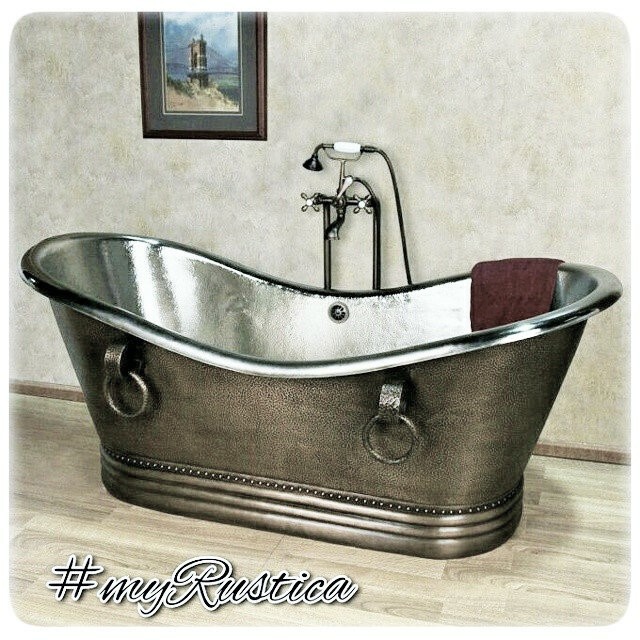 A brand new Rustica House copper bathtubs can be handcrafted with one or two end walls taller or the entire edge of equal height. Most Mexico fabricated designs have their drain located on the center. 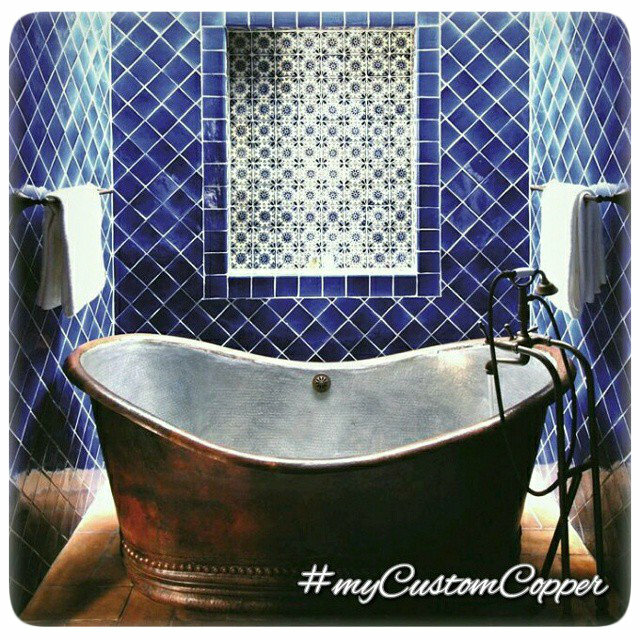 Custom copper bathtubs are often used for a bathroom focal point. They are healthy and long lasting. 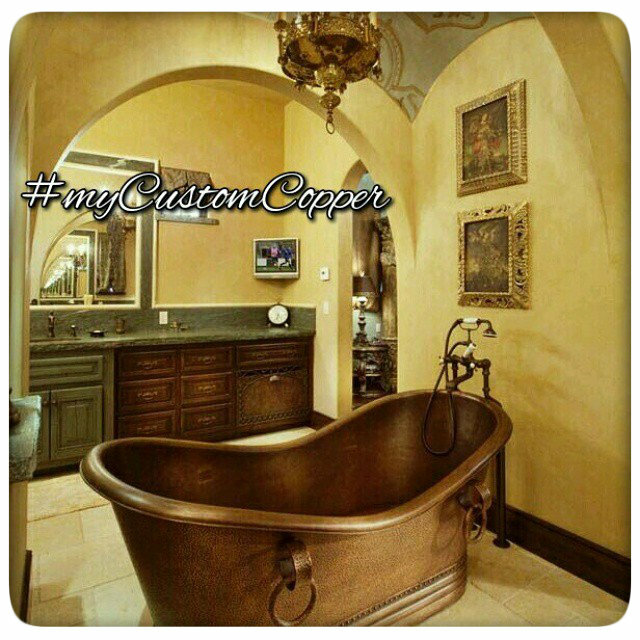 A hammered copper bathtubs can be furnished with a built-in drain back system. This plumbing fixture will prevent water from flooding your bathroom floor. Our bathtubs are brand new meant for domestic home improvement use. They are treated with one of four patina colors. All choices are available on detail pages from the menu. Those are natural fired, dark coffee, honey or antique. The last one is made of light tone washed with dark paint. It makes it appearing antique or otherwise vintage looking. Add to your purchase a bath sink with the same pattern. As a value added scenario, our Santa Clara del Cobre copper collection includes double wall and nickel-platted bathtub option.